This was a really solid collection from Wicker. The language has punch, the metaphors are fresh, and the poems are emotionally resonate. This was a fantastic collection to read right now, while movements like Black Lives Matter bring more coverage to topics like police violence, which this book addresses. Wicker really brings home his experiences as a black man in America, and his words cut me to the quick. I'm thankful to have read this. The only reason I'm not rating this higher is just a matter of personal taste - there are numerous poems in here that speak to faith and God, and I just don't connect to that experience. 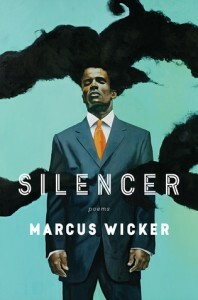 If you are looking for quality poetry collections that speak about race Silencer should absolutely be included on any list.